The longer someone has diabetes, the greater the chance it will cause abnormalities in the retina. 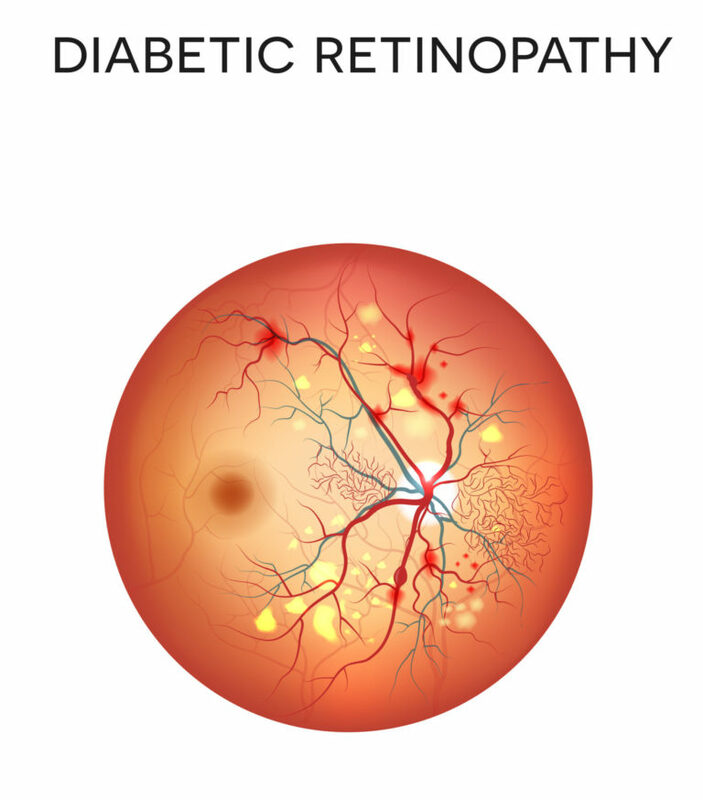 Diabetic retinopathy occurs when diabetes damages the blood vessels of the retina, causing either poor circulation to the retina and/or causing fluid to leak into the retina. This results in blurred vision. Diabetes may also cause abnormal blood vessels to grow, and these may then break open causing bleeding into the vitreous cavity of the eye. This too causes decreased vision. Finally, diabetes can cause scar tissue to develop in the eye, and contraction of this scar tissue can be another cause of retinal detachment. Fortunately, timely and appropriate treatment can allow most people with diabetes to retain excellent vision.